Are you a fan of coloring? Want to equip your kids with a wide assortment of markers, crayons, colored pencils, and more? Announcing a new giveaway contest where you can win a $150 prize pack of Crayola products! All you have to do is go here and sign up by December 18. We'll draw a name the next day and the winner will enjoy all the Crayola magic! 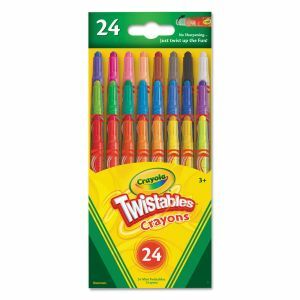 Crayola is synonymous with crayons and markers, and the assortment in the prize pack covers that and more. Look at everything you can win- from classic essentials to clay to chalk to watercolor paint, you'll be able to let your creativity run wild. The pack also includes updated offerings like erasable colored pencils and Twistables- retractable crayons! The selection also includes a coloring book both children and adults can enjoy. Hurry and enter the contest- we'll select the lucky winner on December 19.